“Pete Buttigieg had a message for Vice President Mike Pence during a speech on Sunday: If you have a problem with my gayness, take it up with God. Colin Smothers interviews Abigail Dodds about her new book, (A)Typical Woman, where they discuss what it means to be a woman in Christ. Abigail Dodds (BA, Bethel University) is a wife and mother of five children. She writes and teaches Bible studies for the women at Bethlehem Baptist Church, where her husband, Tom, serves as an elder. She contributes to desiringGod.org and blogs at her personal site, hopeandstay.com. 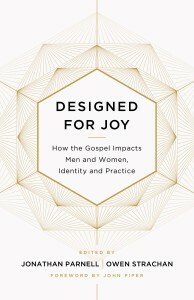 “Kevin DeYoung speaks on the topic of “The Beauty of Biblically Broad Complementarianism” at CBMW’s TGC 2019 lunch event.